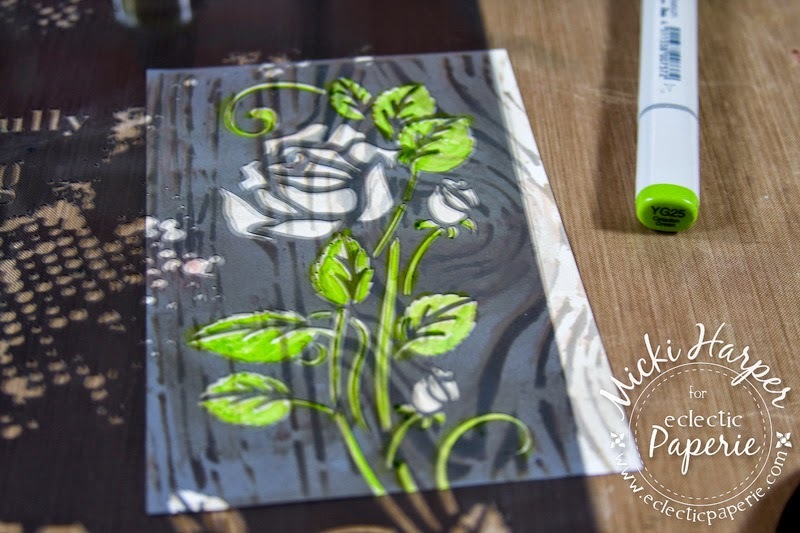 Micki here with my take on this months' ePlay challenge to Get Stenciled. 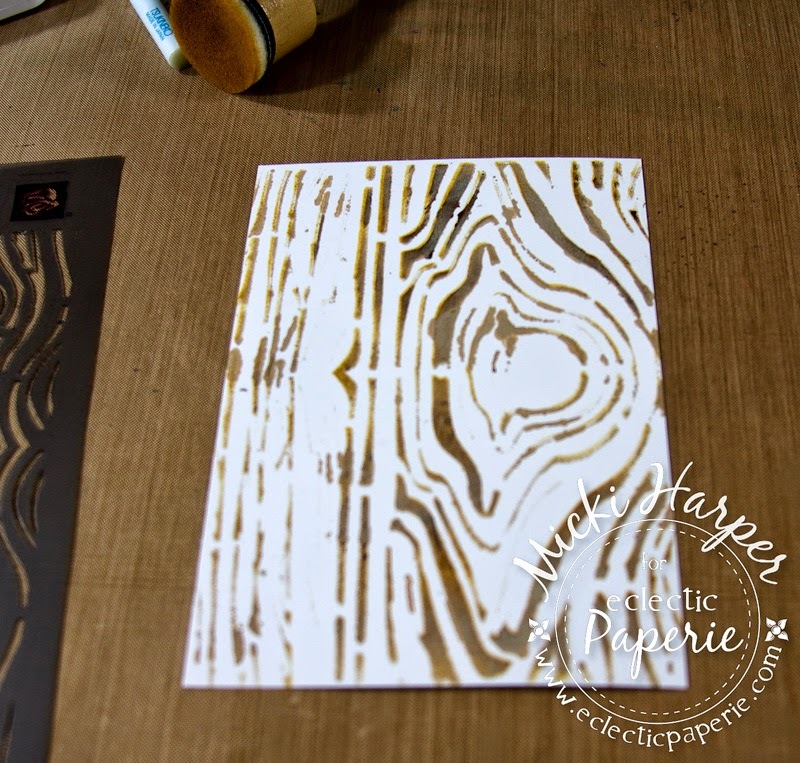 I love stencils but I have to admit that in the beginning, when I first started using stencils, I wasn't at all that impressed with the results I got. Like using a computer, it wasn't the stencils, it was the user - me! So for a while, I stayed away from using stencils. But with all the cool stencils, I soon found myself trying again. And now, I LOVE using them. Spray inks: This is the medium I used with my first stencil. It took me a while to learn NOT to over spray by trial and error. Paints: Use a sponge, Ranger's Blending Tool, paint brush, palette knife, craft scrapper, a wet wipe and even your finger. In the beginning, and depending on the detail of the stencil, using my fingers helped me to control the amount of paint, meaning I didn't add too much of the paint which would cause the paint to bleed underneath the stencil. Ink Pads: I use Ranger's Blending Tool (I love the new Mini Blending Tool), but you can use a stiff paint brush, sponge and yes, your finger will work too. 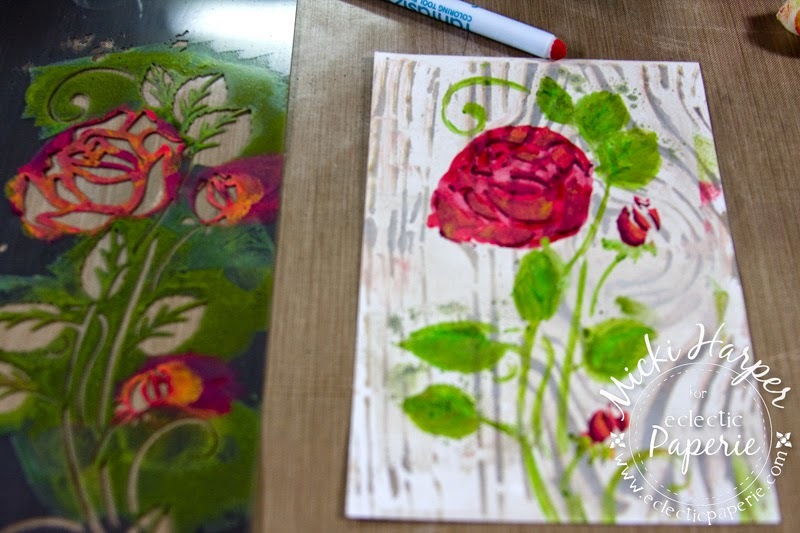 Gel Medium or Glass Beads Texture Gel: Use a palette knife or a craft scrapper. 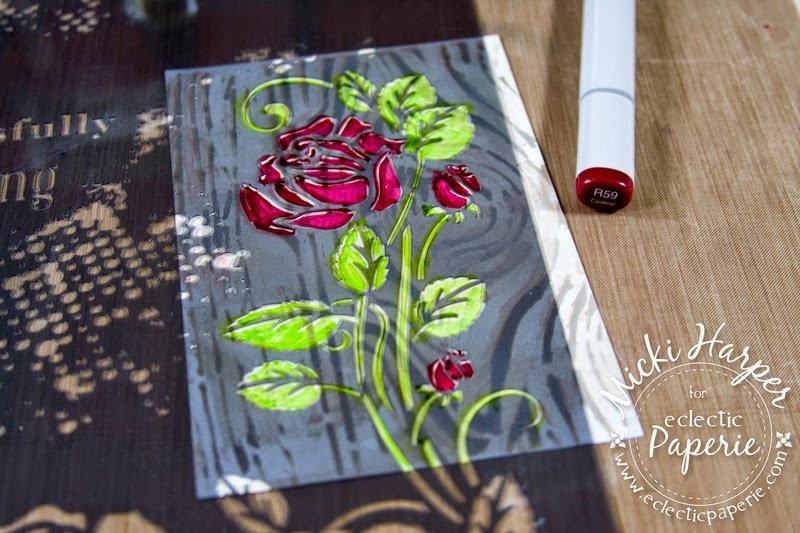 Embossing Paste: Use a palette knife or a craft scrapper. Pencils/Markers: Depending on the stencil, use your pencil to trace the stencil and then color in with your markers. These are just a few mediums/tools, but are the ones that I tend to use with my stencils. For my project I decided to try the pencil/markers and ended up using my Copic markers, some Distress Stain and Distress Paint, Fantastix Bullet Tip (for those tight spaces on the stencil), and yes, my fingers. 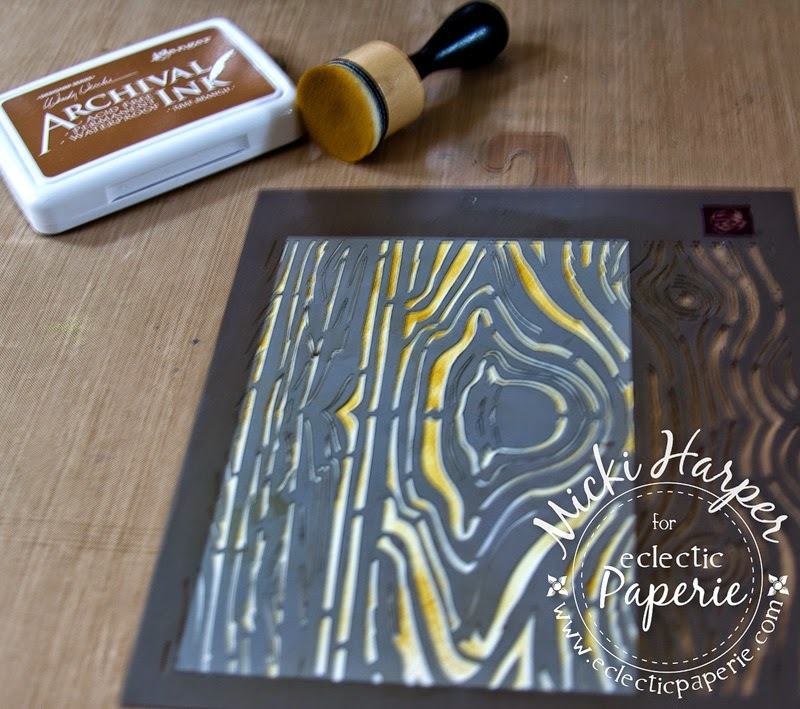 I started out with Prima's Woodgrain Stencil and applied Studio 490 Archival Ink with the Mini Blending Tool. I mixed Picket Fence Distress Paint with Frayed Burlap and brayered over the whole piece to tone it down a little. Next I took my Prima stencil and just colored it in with my Copic marker. After removing the stencil, I just kind of filled in the image, using the Copic markers first, then watered down paint. I used both a brush, the Fantasix Bullet Tip and my fingers and each time I added another layer, I lined the stencil up over the image. I think I over did it. No, I know I did, but adding some doodling helped to add back a little detail. 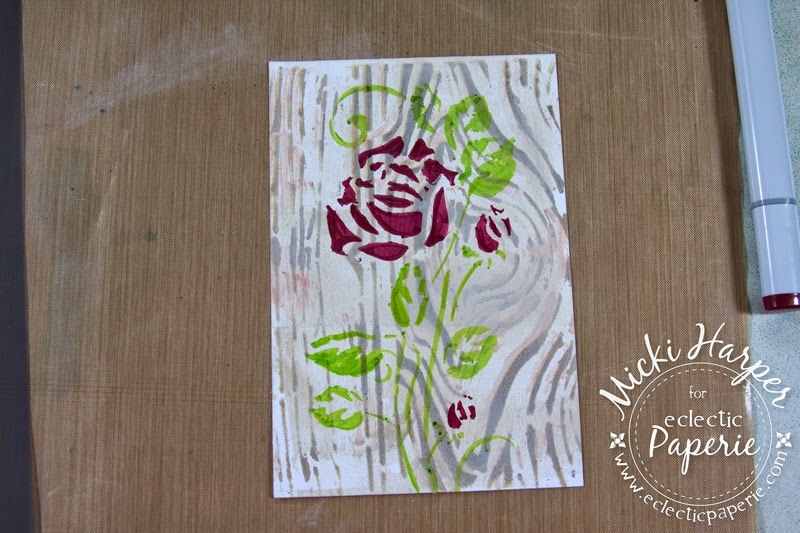 The end result is a really simple card and a somewhat unique stenciled image. It almost looks the flower and leaves were water colored. The tiny splatters around the leaves was created by dabbing Distress Stain on the stencil and then aligning it with the image. I was trying for something else, but I liked this happy little accident. Using a slightly wet brush, I lightly smeared the black pen in some areas to create a bit of shadow. It's not the best example of how you can use a stencil with markers, but hopefully it got you thinking of how you can use your stencils!!! 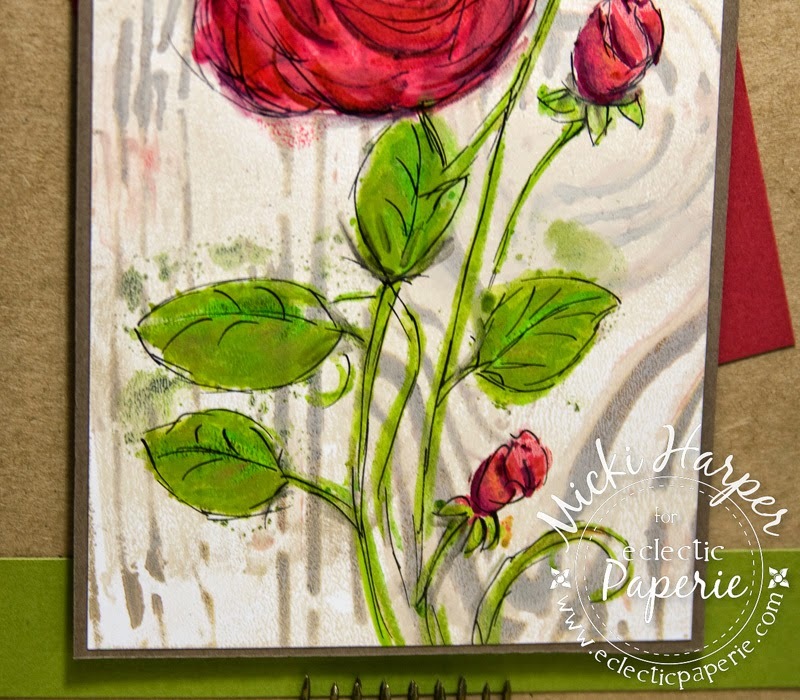 Stencils are a must have in your art supply. 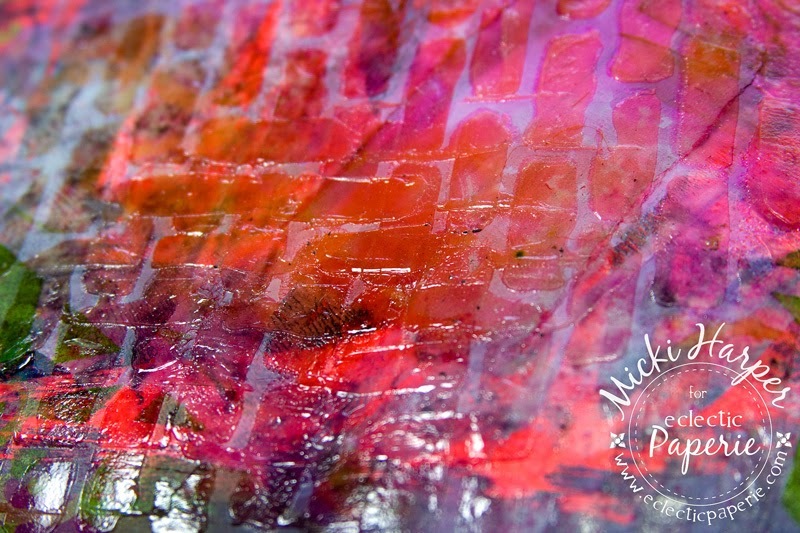 They create texture, layers and backgrounds and so much more! Are you ready to play along with us in this month ePlay challenge? I hope so! Can't wait to see how you Get Stenciled! 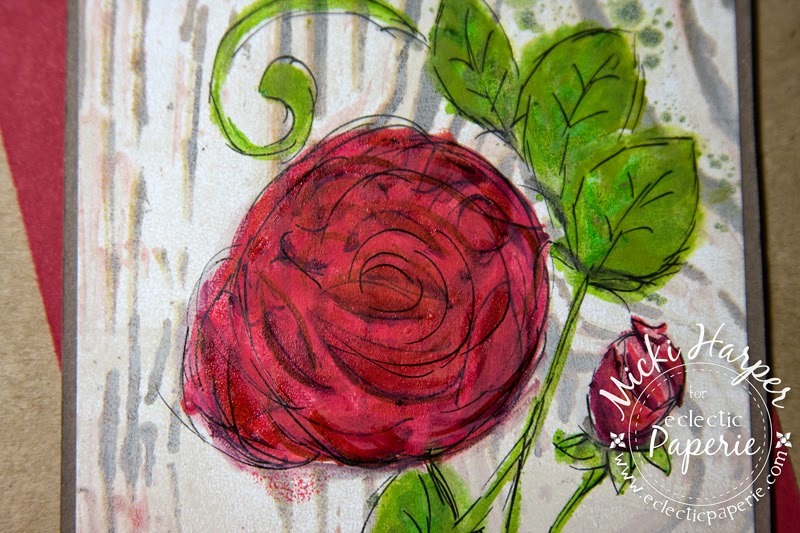 LOVE all of your stencil samples, Micki! Your flower on the card is Fabulous! The colors are so vibrant and Ithe card design rocks! Great post! 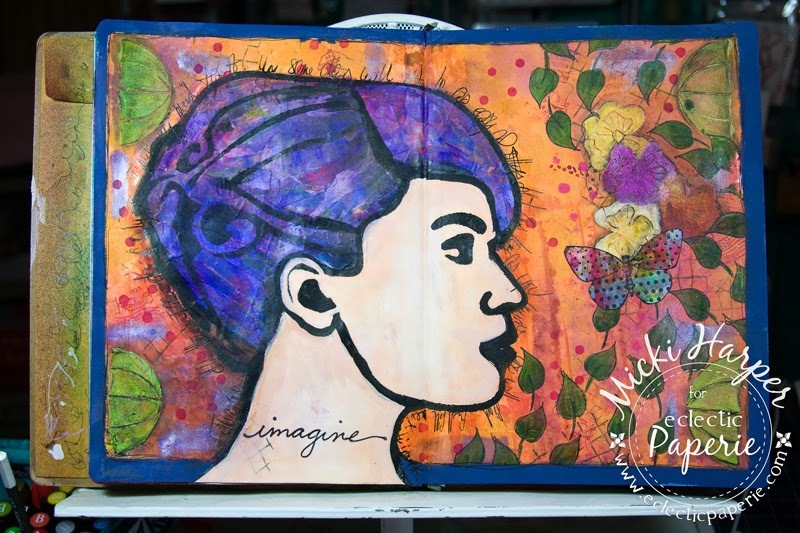 What delightful projects to inspire us to think of new ways to use our stencils Micki! the rose looks great! 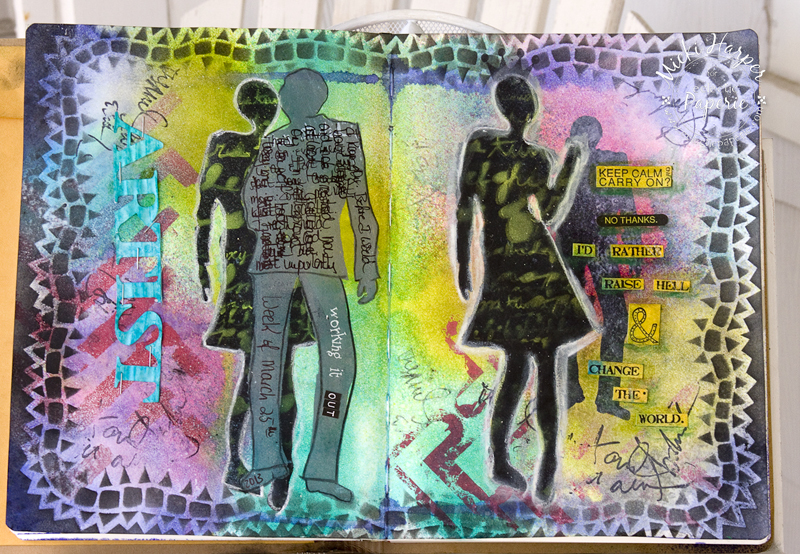 Lovely work Micki and what creative ways to use stencils...overlapping and eliminating some of the under image...huh...cool!!! I am just in awe of your crafty brain! What a delightful card! And your pages are just awesome!!!! 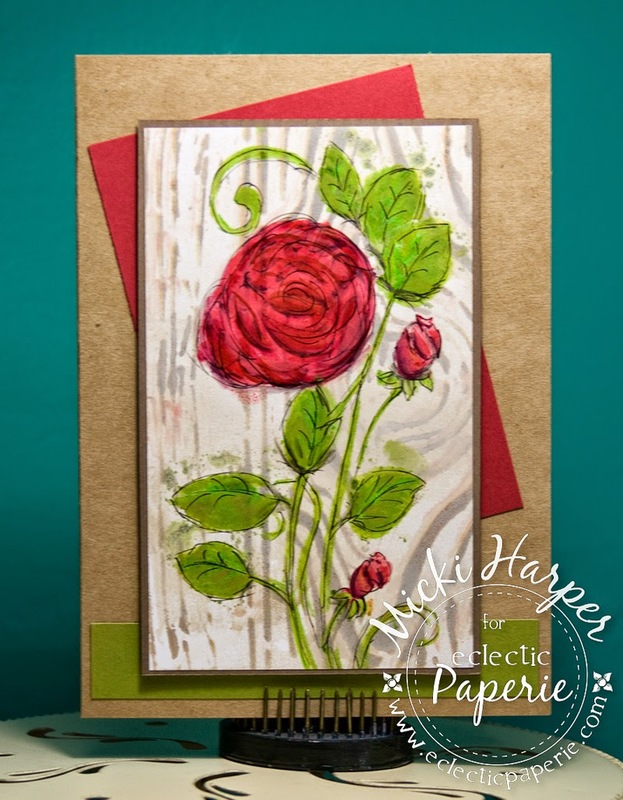 I love the Rose piece...at first I thought the wood grain was embossed...great dimension!